Need help sourcing car finance? 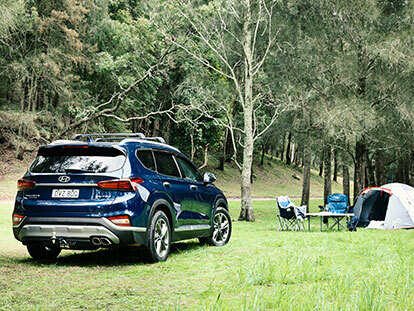 The team at Col Crawford Hyundai Brookvale can help you. We offer a range of flexible finance solutions to suit both individual and business needs. Hyundai finance provides you with an easy and reassuring way to drive away in your New or Used Hyundai sooner. Looking to purchase a new or used Hyundai for personal use? Our consumer finance loans are a fast and affordable way to purchase your new car. A finance lease is a rental agreement where the vehicle is owned by the finance provider or lender, and then leased to the user for a set term. A finance lease allows the user to have full use of the vehicle and has a predetermined residual value. A commercial hire purchase is another form of financing your motor vehicle, where you can obtain goods by hiring them over the repayment term. The transfer of title for the vehicle is completed when the finance provider receives the last rental. For more information about Hyundai finance or to apply for one of the above options, please Contact a member of our friendly team. The calculator above is a tool for indicative use only. No result from the use of the calculator should be considered a loan application or an offer of a loan. The calculator does not take into account your personal circumstances or any fees and charges or government taxes which may apply. Repayments as a result of this simulation can vary based on your personal circumstances including your credit worthiness. You should discuss your circumstances with your local Hyundai dealer. Hyundai Finance is a registered trademark of Hyundai Motor Company and is operated under licence by St.George – A Division of Westpac Banking Corporation ABN 33 007 457 141 AFSL and Australian credit licence 233714.